On December 1, 1934 in North Philadelphia, Paul Williams was born to sing. Becoming far better known as Billy Paul, at the age of twelve he was appearing on radio shows in his hometown. By age fifteen, Billy was sharing the stage with legends Charlie Parker and John Coltrane as a jazz vocalist. Briefly he served as a stand-in for one of Harold Melvin and the Blue Notes. More than twenty artful albums and a coveted Grammy award later, Billy Paul is still setting worldwide audiences afire, both live and on record. 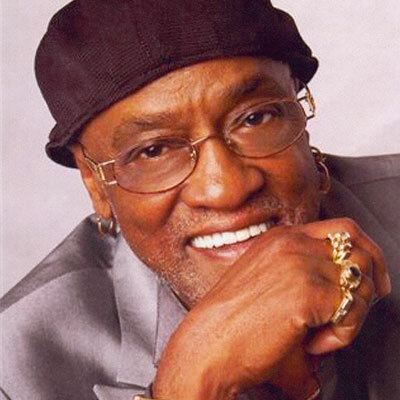 Billy Paul has developed into a widely respected vocal virtuoso uniquely blending traces of jazz, R&B and pop. As a testament to his versatility, Billy's talent has been internationally showcased on stages shared with the likes of Stevie Wonder, Miles Davis, James Brown and Gloria Estefan. His Number 1 smash hit Me and Mrs. Jones has become his signature among several standout performances. Released in 1972 on Gamble & Huff's Philadelphia International label, the Grammy winner is the crown jewel included in his critically acclaimed gold album 360 Degrees of Billy Paul. Other albums of note include Feeling Good at the Cadillac Club, Ebony Woman and Going East. Particularly enduring in international markets, the crowd pleasing Billy Paul continues today with vocals as distinctive and strong as ever.